Dimensional Drawing » The TS3 is a 2-way ultra-compact versatile loudspeaker, for permanent applications. Featuring a 1” soft-dome tweeter with single 6.5” high quality woofer, the TS3 delivers exceptional performance from a very compact and efficient package. The system includes dedicated filtering and system equalizing. The SIS pre-wiring ensures complete cable/connector compensation between the TS3 and ALC. The enclosure design provides for low profile mounting (ceiling, wall). Typical applications for the TS3 include background system for medium installations (theatre, A/V, PA) or fill/delay/surround speaker in medium sized systems. 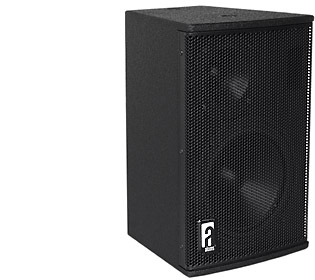 In applications where extended bass response is required, the TS3 can be combined with a bass or sub bass system. For full system performance, TS3 can be used in combination with an ALC2 (or ALC4) amplifier/ controller. Driven by the ALC, the TS3 delivers maximum sound quality and output power with inaudible (power and excursion) protection (SDP circuit).